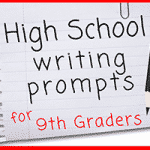 Good Writing Prompts for Highschoolers— Good writing is an important skill that high school students will need in college and in the work world, and the only way for them to improve is to keep writing. It’s not uncommon for high school students to get irritated, confused, and exasperated when trying to put their thoughts on paper, especially if they’re bored with writing the same old essays, summaries, and book reports. 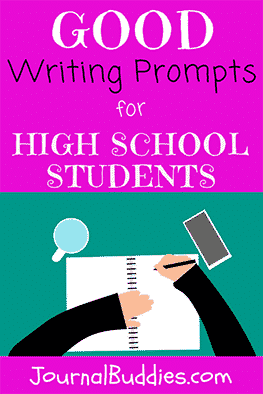 Good writing prompts offer a great way to get high schoolers writing, and interesting prompts can stimulate their mind and get them excited about sharing their thoughts and ideas on paper. Writing is a powerful way for young adults to grow more even more aware of themselves. 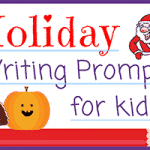 In these good writing prompts for high schoolers, your students will make great use of their imaginations and creative minds. 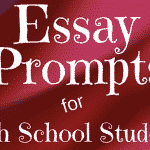 So get to it and use the following essay prompts for high school students in your classroom today to help students improve their personal writing skills. Write about a female role model in your life. Why does she inspire you? Write a letter telling someone how they have inspired you and changed your life. What makes you feel stressed? How do you cope with that stress? Write an essay explaining why forgiveness is so important. Think about a big event in your own life that made you learn an important lesson. Write about that event and the lesson you learned from it. What kind of music do you like the most? Who are your favorite singers or what bands do you enjoy? Explain why. Mobile phones offer both pros and cons for high school students. Write about both the pros and cons of mobile phone use in high school students. Do violent video games increase violence in real life? State your position and support it. Students are graded by their teachers, but should students be able to give their teachers a grade on how well they teach? 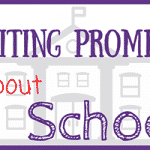 Write about three things schools can do to deal with the bullying problem. If you were able to change one school rule, what would it be and why would you change it? If you could meet a favorite character from a movie or book, who would you want to meet and why? Write about 10 things that make you feel great. 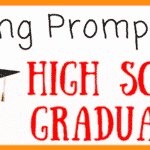 Do you think that prom is a positive high school tradition or a negative one? Defend your opinion. Some countries require young people to serve in the military for two years. Should our country adopt that policy? Write an essay on your position on the issue and support it with good reasons. Write an essay on the characteristics you feel make an excellent leader. What things make you feel angry? Why? What is the best book you’ve read? Why did you enjoy the book so much? Did the book change you? If so, how? What television commercial do you find irritating? What about it makes it annoying to you? Convince someone why the internet is so important in your life and use reasons to convince them to see your viewpoint. If you were given one million dollars but you had to give half of it away, what would you do with the half you gave away? Why? Write a persuasive essay on the reasons students should be given fewer homework assignments. Medical research is finding new ways to prevent and slow down aging. What if there was a breakthrough that allowed humans to live forever. Do you think this is a good thing or a bad thing? Why? Is there too much pressure today on girls to look perfect? Why do you think this happens? What can be done about it? Mass shootings, particularly in schools, have been in the news a lot lately. As a student, what do you think should be done to prevent mass shootings in the future? Support your ideas. Currently the voting age is 18. Should the voting age be raised or lowered? Why? What can your generation teach older people? What can your generation learn from older people? Do you think marijuana should be legal for medicinal use? Defend your position. Doctor assisted suicide is a touchy subject for many. Do you think terminally ill individuals should have the right to choose doctor assisted suicide? Why? Do you think that cigarette smoking be banned in this country? Support your position. Write about what you plan to do be doing and what you will be like in 10 years. Discuss a time when you stuck up for someone. Did it end well or end badly? Would you do it again? Technology continues to change quickly. How do you think high school will change within the next 10, 20, and 50 years? It’s easy to complain about what you don’t have, but there are teens your age across the world that have less education, food, shelter, and money than you have. Think about the things in life that you’re grateful for. What have you learned in your high school years? If you’re honest with yourself, what things are you afraid of? Why? What do you think people assume about you? Are they right or wrong? Is there something or someone you once hated but now you like? What made you change your mind? If you had your own talk show, what three people would you want to interview? Why would you choose to interview them? What do you think you would learn?